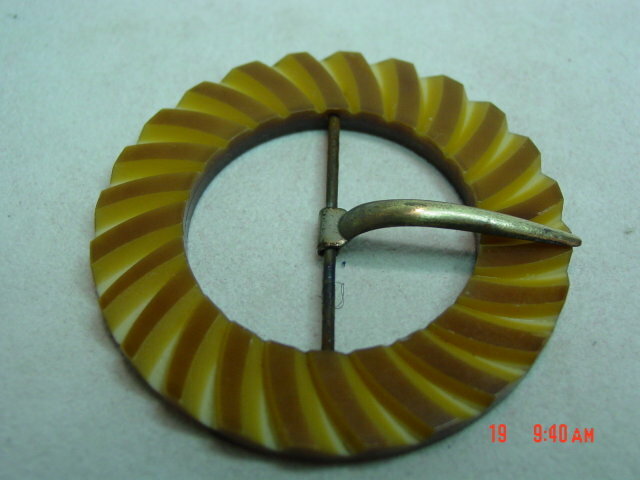 This round belt buckle is made out of butterscotch colored bakelite. It has been carved with a beautiful swirled pattern. The bar and tongue are made out of metal. Items Similar To "Carved Butterscotch Bakelite Belt Buckle"